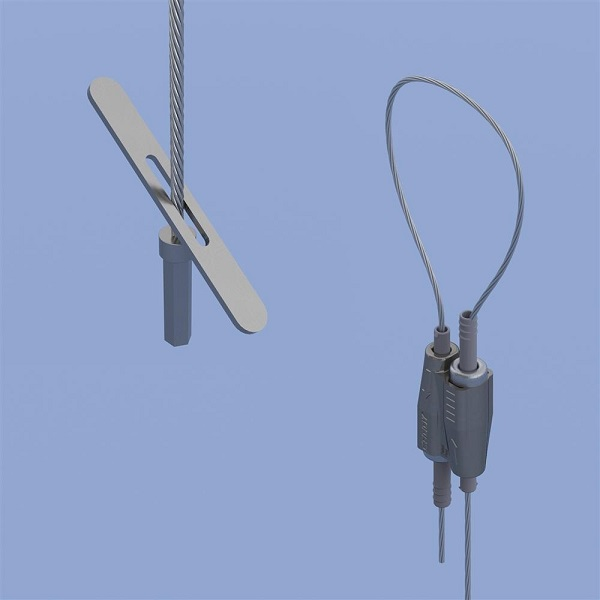 Toggle with Wire Lock includes 1.5mm wire, locking device and pre-assembled toggle end fitting. This attaches to clearance holes in a variety of structures or hanging devices and is ideal for supporting light fixtures. Available in 2m wire lengths.